Can’t find professional free Photoshop plugins that will help you edit photos faster and make them pop in several clicks? Lucky for you, I’ve gathered a collection of 20 FREE Photoshop plugins and reviewed 35 bundles of premium Photoshop plugins for photographers available today. Adobe Photoshop CC is a powerful photo editing software, but it lacks some functions many photographers would like to have. That is the reason why Photoshop plugins appeared. They are designed to add extra picture effects or perform tasks that are difficult to do working just with Adobe Photoshop. Before reviewing available free and paid Photoshop plugins, find out how to install Photoshop plugins in 8 easy steps. Still didn’t install Photoshop on your laptop? Read more about 4 simple steps to get Photoshop free legally and without lags. How to Install Photoshop Plugins? Click on Edit from the drop-down menu, then choose Preferences > Plugins. Select "Additional Plugins Folder" in order to accept new files. Keep on downloading a necessary plugin. Find Program Files and choose the Photoshop folder. Open Plugins folder (it is inside the Photoshop folder). Export a new plugin from your desktop into the Plugins folder. Restart Photoshop and find a new plugin under Filters. Photographers spend much money on photo gear. It goes without saying that they would like not only to have a free photo editing software but also work with extra free tools. Fortunately, you can find many Ps plugins without spending a dollar. They have been created by talented photographers who wanted to make them available to beginners. Remember that it isn’t possible to make every photo ideal with a certain plugin. You should find the suitable one to get a decent result. Read more about 20 cheap and FREE Photoshop alternatives that has almost the same functions as Adobe Photoshop. Editing and improving portraits takes a lot of time, and making a fresh start with every image can be exhausting. Save your time and receive stunning results just using these Photoshop plugins. Quickly add a little shine to dim dark eyes with this plugin for eye enhancement. You can try it to emphasize some natural highlights, change the color of the eyes or make them more expressive. Remember to keep everything natural. Read more about how to change eye color in Photoshop in 10 simple steps. If you are sick and tired of working with skin tones and receiving unnatural colors, this set is a great way to create a perfect look. It will make your photo more elegant and appealing. 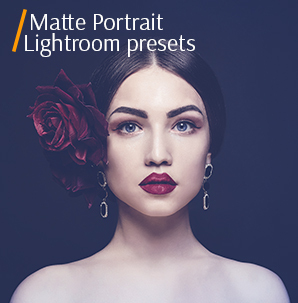 To receive the first-class edited portrait picture, just use these free Photoshop plugins. They will help make the face skin softer and remove some distracting spots, freckles or shadows under the eyes. This plugin helps matte shiny skin, while saving realistic smoothness. Would you like the model’s smile to be attractive without yellowish tint? The main purpose of this plugin is to eliminate “dirty” or yellow teeth color and make the smile bright. This filter minimizes beige or yellow saturation. Moreover, it makes the smile look natural. Consequently, you receive the stunning clean teeth tint and a really gorgeous Hollywood smile. Wish to add contrasting colors, intensity, and fresh look to your pictures? You can achieve the goal without efforts with these specialized HDR Photoshop plugins. This plugin uses the pro technique to make an accent on essential details in order to create matchless and highly stylized images. You may use this Photoshop plugin for fashion photography to achieve harmony in light and tonality and emphasize particular details. If you want to add bright and saturated color to your photos, then use B&W HDR filters. These effects offer stunning HDR-style one-color photo editing with clear edges. Also, it adds contrast and adazzling tone. This effect is awesome to create stylized photos. Vintage HDR shows details, modify the whites and adjust the image to be soft and light. It is possible to add to your pictures a nice, but a bit delicate vintage look. You receive a saturated photo saving a balance between main elements, contrast and natural color absolutely at no cost. 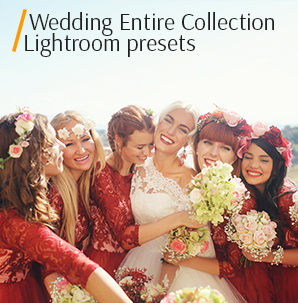 These best plugins for Photoshop can raise the shadows, thus making wedding pictures a bit livelier and warmer. Vivid, saturated colors result in a jovial mood, which is so peculiar for wedding shots. This filter will create a special mood, intensify colors, and whip up strong emotions when it comes to fashion photography. Your photos may look like as if they are taken specially for Cosmopolitan. Make your pictures stylish and eye-catching free of charge. This plugin will help create a rich and saturated image as well as change its perception. It is possible to intensify the entire photo or just particular areas such as the eyes in order to draw more attention to them. So, this plugin will be helpful anyway. Pictures are frequently dark and clear because they're somewhat underexposed. This example of plugins for Photoshop lightens the picture as well as saturates it trying to make small adjustments to the skin tones in order to achieve the desired glossy effect. This effect makes the eyes ideally sharp, vivid and expressive, regulating the contrast. This will make the portraits even more exciting. When it is necessary to emphasize some particularities on the photos, it is better to use Dramatic Soft filter. It’s awesome for creating a perfect contrast in the image. While processing the photo, you receive dramatic and sharp lines, which convey a style and the concept. With this free Double Exposure effect, you don’t need special skills to blend the portrait shots with landscape or cityscape images. This way you can create a vibrant effect preserving bright colors. The dispersion is a widespread technique used for action picture on the one-color background. A lot of professionals prefer to use it. It takes a few seconds to create the Dispersion Effect, in spite of the fact that the final result seems to be complex. This plugin gives your photo a warm sparkling look by changing the white balance and exposure. Wedding photos are typically of light warm colors, so this effect creates a more romantic atmosphere. This innovative filter provides a gentle and non-destructive pastel matte tone, improving the image and creating a wedding mood. It gives your shots a retro look which has been recently becoming popular amongcouples. If the white balance is too warm, it can totallychange the creative interpretation of your photos. This plugin removes the yellow color and makes the baby’s skin look natural and gentle. Occasionally newborns have red spots on the skin, and clients ask you to remove them. This filter will assist you in retouching the baby`s skin making it look natural and smooth. Plus, it masks rash or other undesirable flaws. Layrs is developed to assist you in keeping a workspace in order, and speed up the image editing process with one click of a mouse button. It provides useful functions such as deleting all unused actions on particular layers. Moreover, it removes all empty layers, flattens all effects on chosen layers. One more essential feature is that the plugin converts an image into pixels, turninga layerinto a separable smart object, and it findslibraries and documents with analogous names. If you use Layrs in a proper way, it can save your time, especially with complex files with numerouseffects. Tych Panel is a unique plugin that automatizes diptychs and triptychs formation. It supports a random number of layouts with the help of a large paradigm for creating rows or columns. Tych Panel comes with a user-friendly panel interface and automation toolbeing super useful for professional photographers. The Pexels provides access to an extensive library of different stock photos while working with Photoshop. It considerably simplifies the working process. It is possible to browse through the classifications, popular images or new photos to derive inspiration and to look for the idealpicture for your future project. There are approximately 30,000 images on the Pexels catalog. XimagicDenoiser is used to reduce photo noise. It offers seven innovative approaches. The best plugins for Photoshop are quite expensive, but it is definitely a reasonable investment. It doesn't matter whether you are an amateur photographer or a pro, an ordinary user, a designer or an artist, you will benefit from such filters. I have compiled a list of the most indispensable ones that will influence and simplify the image editing. If you have ever seen gorgeous wedding or portrait shots with the boho vibe on Instagram, they were probably edited with the help of these plugins for Photoshop. They are very popular since warm film colors will enhance any picture. The “Boho Film” plugins contribute to the dramatic atmosphere of an image by adding soft skin tones, pretty delicate green colors and deep shadows. Apply them to your landscape, fashion, lifestyle or family pictures and get satisfying results! Any ordinary image may become an extraordinary masterpiece if you apply these Photoshop plugins. Take advantage of Fractalius when you wish to imitate conventionalized glowing lines of light, realistic pencil sketches and different kinds of unusual lighting. It is recommended to use these filters for conceptual pictures as a part of design projects or to create art works. Enhance the edges of your pictures, using these Adobe Photoshop plugins. You need to perform a few steps. Firstly, choose the color of your future frame. Then pick the style, form, brightness and the strength of the edge effect. AKVIS ArtSuite gives you an opportunity to customize the frame according to your preferences, for instance, vintage or shabby one, with page curl filter, etc. You may add incredible ornaments or carvings as well. A great advantage of this Photoshop plugins for artists is the integrated Library. It is full of textures and patterns for frames. There you may find traditional wooden or seasonal textures, brick, fabric or animal patterns like bird feather or skin of different predators. It is one of the best Photoshop plugins for those who prefer both effective tools and clear layouts. GuideGuide is designed to simplify one of the most tedious Photoshop image enhancement tasks. You just need to type in several numbers and the plugin will create a grid on the file with the help of Photoshop guides. It is even possible to save the most frequently used grids and send them to other users. With GuideGuide, you will stop wasting your precious time. ALCE somehow resembles HDR tone mapping, as it gives more shape and a visible 3D look to a picture and increases Local Contrast. One of the most efficient Photoshop plugins for photographers emphasizes small details while not compensating on highlights and shadows. This plugin may be recorded into a separate action and improve a great number of shots in batches simultaneously. In case you need to give a vintage vibe to your imagery, you will certainly make use of this Adobe Photoshop CS6 plugins pack. With these vintage plugins, you are able to add a retro matte look to your pictures while enhancing the colors. The wide array of effects will assist you in creating the classic atmosphere in the shots. The majority of professional photographers actually have one or two retro plugins they often use for portraiture, travel, lifestyle and wedding images. Go to FixThePhoto website if you are a fan of such plugins and want to get more of them. The whole collection consists of 24 best Photoshop plugins 2018! You may purchase the complete Alchemy package and get all AKVIS photo post-production programs using an excellent 60% discount! In case you are interested in a few AKVIS plugins, don't miss this exclusive discount! There is no better way to save your money on Adobe plugins! The price covers only one-third of the overall cost of all the programs. Therefore, you get the pack at a ridiculous cost. This collection of Photoshop photo filters has everything you could ever wish for – borders, tone correction, imitation of 3D effects and more. With Dream Suite Ultimate, you have access to a great number of diverse effects for superb photo post-processing. You may tweak the following parameters: Sharpen, Blur, Color, Black & White and Light to achieve the professional level of digital photography. The pack is rather expensive. However, once you DOWNLOAD it, you will have a collection of numerous filters at your disposal. You won't need to waste your money on any additional plugins, as these ones provide you with endless possibilities of picture editing. Portraiture 3 is the best Photoshop CS6 plugins pack, particularly for those specializing in portrait photography. You won’t have difficulties figuring out how to operate it thanks to the user-friendly interface. The plugin won't interfere with your picture post-production process in Photoshop. The Portraiture 3's main functions are the removal of minor imperfections and skin tone smoothing. What is more, it won't ruin small elements like skin texture or eyelashes. The cost of the plugin may come as a surprise, but don't forget that it is aimed at professional portrait photography. The plugin provides you with an opportunity to explore the 3D world within Photoshop. You will have no problem creating striking 3D objects and logos thanks to its superb render and texture mechanism. This is one of the Photoshop plugins which impresses users with an effective tool resembling a pen to edit and draw shapes. 3D Invigorator won't be difficult to get a hang of. You just need to put some extra effort into designing 3D elements, but the final result can’t but please you. Exposure is one of the best Photoshop plugins for photographers aimed at imitating film effects in the pictures. 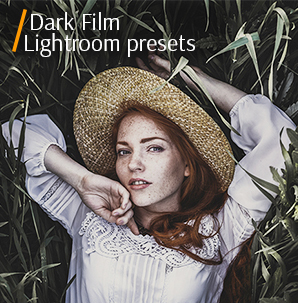 The plugin was created on the basis of film presets and features captivating filters for your image post-processing experiments. Using Exposure, you are free to organize your photo gallery into collections automatically. If you are an interior photographer, you will certainly appreciate the geometric transformations function. Consider adding this powerful plugin to your arsenal. Eye Candy 7 helps create realistic effects of Lightning, Fire or Chrome which you can’t generate solely in Photoshop. You will be amazed by the detailing of such effects as Reptile Skin, Smoke and Animal Fur with realistic-looking scales, intricate wisps and separate hairs. It is one of the Adobe Photoshop plugins where you may select an effect simply through recognizable icons instead of the classic text menu. In case you need to preview a preset, just hover a cursor over it. Besides, Eye Candy 7 is a perfect tool for designers, who wish to speed up their working process. Undoubtedly, this is one of the best Photoshop pluginsto give your imagery a cartoon-like effect. When one of the filters is applied, you will see peculiar cartoon-style lines and shadows. From now on, you won't need to waste your time on hand painting or rotoscoping to achieve a cartoonish look. The plugin is characterized by intuitive interface, flexible operation and integrated presets which make it possible to generate the desired effect quickly and efficiently. Purchase the collection and start imitating cartoon style of woodcuts, brush painting, etchings, pencil or pen, ink drawing, etc. Now combining marvelous exposure and HDR effects won't be a problem anymore, as you have PhotoMatix. If Photoshop HDR adjustment isn't enough for you, this plugin will come in handy. One of the most popular Photoshop plugins 2018 enables working with toning parameters and simplifies the task of creating HDR imagery. PhotoMatix features a few algorithms for rendering, a basic collection of tools for color correction and an array of presets. In case you can't afford to purchase the plugin, opt for PhotoMatix Essentials which costs less and offers the simplest functions. These plugins for Photoshop are designed for those, who wish to master the art of skin retouching. Within a single click, you may smooth the skin texture, get rid of minor imperfections and add a matte touch to the skin tone. It doesn't matter if you are only on a beginner PS user. You will still be able to improve your portraiture fast and efficiently. These are the Photoshop plugins representing a smart drawing system. By applying Impression plugins, you can turn a regular photo into a sketch, digital or watercolor painting. They can make approximately 10,000 brushstrokes in no more than a second. Very often true-to-life pictures lack emotions and don't leave a long- lasting impression. However, if you take advantage of digital painting plugins for Photoshop while editing images, you may convey the whole range of emotions and not focus only on details. When you need to enlarge an image and not lose the quality at the same time, turn to Blow Up. Understanding the operation of this plugin won't cause troubles if you know how resizing in Photoshop works. In comparison to Photoshop, Blow Up's system is more updated and can generate sharp pictures without distortions. It is one of the most helpful Photoshop plugins for photographers, particularly in cases when they aren't satisfied with the picture resolution. How to add retro style to your images? You may apply textures manually, DOWNLOAD layer styles where this action is automated, or use one of these premium Photoshop plugins, which is beloved by many professionals out there. The latter option is the most economical, as Machine Wash Deluxe comes with 3,500+ presets that may be applied to photos, text, sketches and other works of art. It’s a real catch for those who’re looking for the rich texture and just the right amount of pop of color. Noiseware suppresses noise with the minimum loss of the small details of the picture (hair, eyelashes, etc.). A convenient interface enables you to easily process photos prior to publishing or printing. The algorithm developed by Noiseware grants with the self-learning possibilities and automatically picks out the most appropriate filters and tools for each shot. Ready to generate your own fonts? It's easier than you think with one of these handy Photoshop plugins. Fontself Maker lets you transform any image or vector layer into colorful raster fonts using Photoshop CC 2015.3 and higher. The working mechanism is simple: drag and drop layers to make up the new characters and grab any color, hue or texture. All the functions you are looking for can be regulated, including kerning by characters, their alteration, ligatures and more. This is the thing that simplifies many editing tasks and is particularly beneficial for working with raw photos. Luminar, which is often named as one of the best plugins for Photoshop, resembles a photo editor that exists inside your image post-production software. The plugin features the AI procedure along with approximately 50 preset effects, which makes it definitely worth considering if you often edit unprocessed photos. The set includes 7 plugins, which can be surely attributed to the tools of the professional level. Nik Collection runs on two platforms: Windows (Vista and higher) and Mac OS X (ver. 10.7.5 to 10.10). The utilities may be used as plugins for Photoshop, Lightroom and Aperture, as well as the standalone image editors. The primary users of Nik Collection are typically the advanced amateurs and professionals. It is not so easy to learn and is hardly suitable for novice photographers, even with the basic skills in Photoshop. Texture Tools Industrial are certainly fantastic Photoshop plugins for photographers. It is proved by the broad variety of textures and patterns to explore. The surprising part is that you’re able to try out these metal filters before purchasing. With the package, you can achieve an artificial finish by choosing from the 50 samples. The plugin is quite customizable and you may adjust the filters to match your images, contributing to their sharp look that pops. This isn’t one of the free Photoshop plugins but it still successfully falls into the list of must-haves for a professional photographer or picture editor. The usage of B&W’s special conversion mechanism, which accentuates tone and texture, helps you get monochrome images that are really bright and saturated. In general, if you don’t ever want to see the flat images and aspire to deliver the perfect monochromatic shots, the plugin should be an integral part of your photo editing toolkit. Resize is supposed to increase the size of the picture up to 1000%. This is an interesting product for interior designers and photographers who are working with large formats. With one of the best Adobe plugins, you may enlarge any image without making quality worse. Special attention should be paid to the Gallery Wrap function. It ensures that you create the necessary fields for wooden frames. ON1 Effects 2018 is great for achieving a certain effect on a photo, be it color processing, adding texture and noise or creative frames. The feature set of this exhibitor of the Adobe Photoshop plugins is very extensive. The Perfect Photo Suite plugin enables you to apply various effects to images, edit layers, remove the unwanted background, change size, depth, sharpness, as well as edit the borders. Perfect Layers will help create the multi-layered images by combining several photos into one. 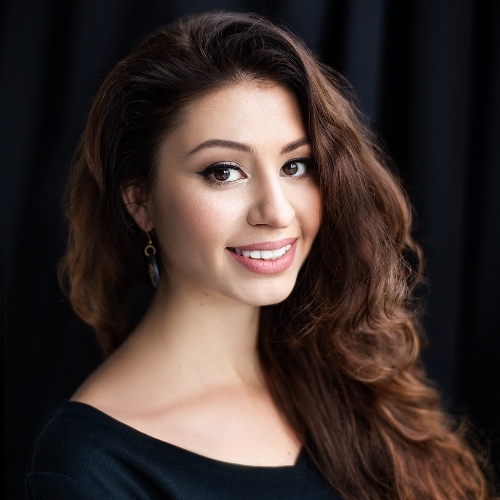 Perfect Enhance maximally and effectively improves your image and Perfect Portrait offers the most innovative tools in the picture retouching industry. Program PortraitPro Studio is one of the best plugins for Photoshop that eliminates wrinkles, skin defects and changes the shape of the face. You can quickly remove the most frequent imperfections and make a high- quality portrait. There is a set of customizable tools that can be used when editing the appearance with a pair of clicks in semi-automatic mode. The utility allows you to quickly improve facial features, make a smaller nose, whiten your teeth and eliminate red-eye. Adding a hint of makeup is also possible. The pleasant interface of the program provides a simple control panel. Contrastica is an intelligent contrast enhancement tool from the next generation of the Photoshop plugins. It features cutting-edge image post-processing schemes. Contrastica is an easy-to-use, specific and adjustable plugin. It is directed at controlling both local and overall contrast at the same time. This makes up for an easy way to add brightness and create the desired effect in less time than it takes to use your own set of Photoshop tools. It’s a common knowledge that brushes can shake things up and ParticleShop offers support for a non- destructive layer and 11 updated brushes. The ParticleShop, one of the most interesting Photoshop plugins for photographers, is optimized to work with a touch-sensitive screen, touch screen or a normal mouse and ensures user-friendly image editing. It’s characterized by high performance, combined with ease of use and enables you to create incredibly realistic pictures. This may allow photographers, designers and illustrators the opportunity to convey their vision of the world in projects that previously required an incredible amount of time and effort. You will also receive a free set of brushes upon purchase. If you are not sure about using Photoshop to create stylized images, Edgehancer is a fast and efficient way to get some impressive pictures. The plugin emphasizes the edges without increasing the contrast of the surrounding pixels. Edgehancer effects may be recorded in actions and is fully accessible to scripts, making it easy to automate the process. Other things to note about one of these Photoshop plugins are the simplicity of the “click” and “go to” manipulations and its focus on the beginning PS users. For professional retouching results that are capable of more than original Photoshop filters, you should take a close look at the Pro Add-Ons Ultimate Retouch Panel. Despite the fact that this representative of the Photoshop plugins is now a bit outdated, this cost-effective tool has more than 200 functions in one panel. It includes seven methods of frequency separation, four methods of fast retouching and 15 tools for local retouching. The Page Curl 2.0 is a tool for creating the believable page turning and folding effects that are ideal for advertising campaigns of e-books. As one of the best plugins for Photoshop, it is uncomplicated, powerful but limited in its functionality. However, the good news is that its primary job gets done at the highest level. If you can close your eyes on the inappropriate curses on the website, the plugin is worth examining. In fact, this is an amazing tool for creating the perspective layouts for your projects with the help of the CSS3 3D transforms. All you need to do is to click, install and select among 8 available layouts. Applying actions from one of the best Photoshop plugins is a fast way to improve creativity. The given actions may be edited and customized in accordance with your preferences and demands. What is more, they won't flatten the layers. If you've ever wanted Photoshop's color selection to be a little less unappealing and unmanageable, the RH Hover Color Picker, one of the best Photoshop plugins for photographers may be just what you were waiting for. It’s right at your disposal when you need it, with a beautiful set of customizable sliders that give you more control than the standard selection of colors. But when you're done, it will automatically roll up. For novice designers, the purpose of this plugin may seem questionable. Nevertheless, in complicated projects with tens and hundreds of layers, Renamy, one of the effective Adobe Photoshop plugins may be a real savior. The plugin lets you rename several layers in one action. Moreover, it is capable of performing operations with replacement directly in the layer names. The authors of Renamy even included the autofill feature in their plugin. Start typing in and Renamy will efficiently prompt you to continue from the list of words that were entered earlier. This helps maintain consistency in the names of the layers and eliminates typos. In addition, there exists a free trial version of the plugin.